Nicole by OPI has followed up their very successful first collaboration with Justin Beiber with a second set of polishes (and I hear there is a third set in the works). "Baby" Blue - light blue creme. This one is probably my favorite of the collection. Usually pale/light blues have a tendency to give me red-hands. This one does not. It's a beautiful lighter blue, which isn't in the pale or baby blue category (despite the name). This one had a great formula, but due to brush issues, I had to do 3 coats in places. I'm a Beleiber - dusty purple creme. I thought this one was going to be pretty straightforward, but once I added the third coat, the red in the base came out. The formula was thin, but manageable. 3 coats. 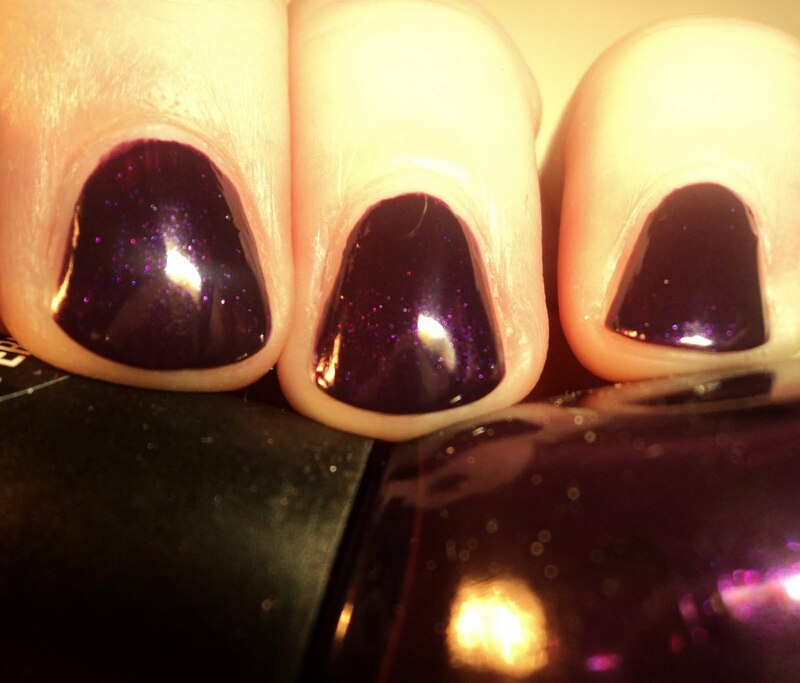 I've Got Beiber Fever - deep Tyrolean purple with blue, red, and purple shimmer. This one is beautiful, if not completely unique. I especially love it on my short nails. Good formula, but at 2 coats, it was spotty in places, so I had to do a third coat. Make U Smile - bright, multi-sized silver glitter in a clear base. I'm showing this one over I'm a Belieber. This one is a really nice top coat. You could do a 1000 coats and never be able to reach full-coverage, but it is very nice to add some sparkle over a base color. This one would also look nice to create a "glittered tips" look. This is 2 coats over the base color. My Lifesaver - light minty green. I've already shown you My Lifesaver in the review of the first Justin Beiber collection (it was included in the press samples for that collection), but I thought it deserved a second look. Mint greens, with rare exceptions give me red-hands. This is one of those exceptions. It's reminds me of wintergreen mints. Perfect formula. 2 coats. Not a Gold Bigger - Bright golden foily metallic with silver and golden shimmer particles. 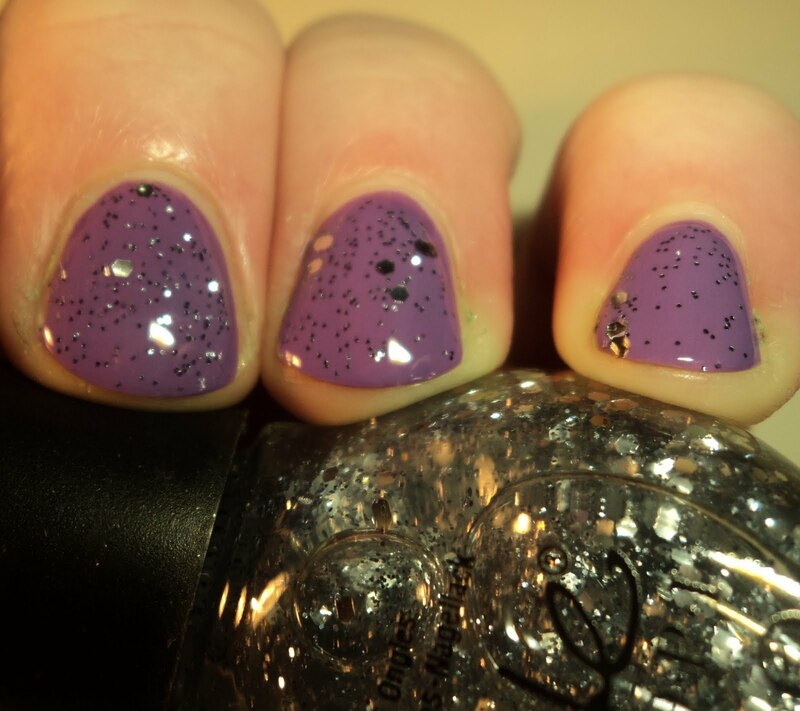 This one reminds me of OPI Glitzerland, though it's not a dupe. Golds and I rarely get along, though I love them in theory, but this one actually looked nice with my skintone. Aside from the name, which I feel is beyond stupid, I like this one. Formula was spotty. 3 coats. 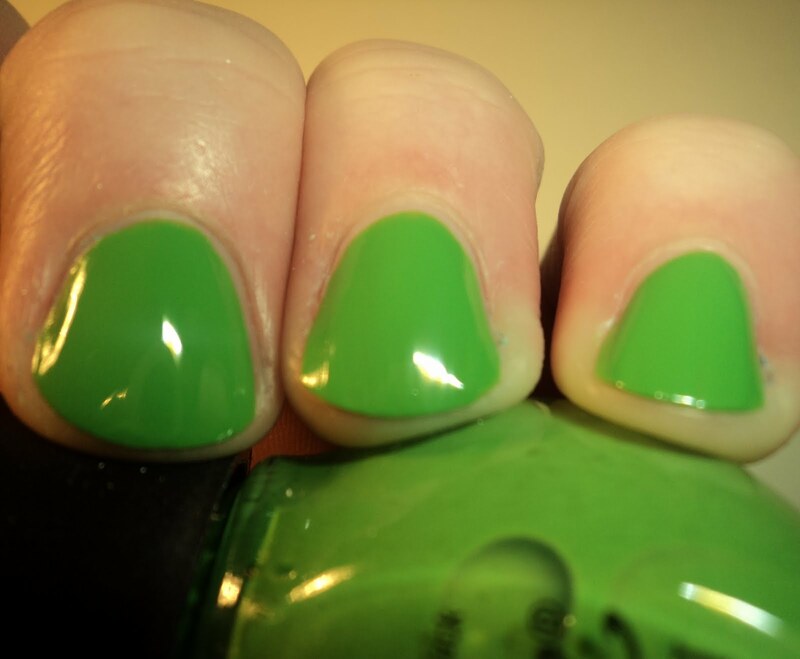 One Time Lime - Bright spring green creme. This one is such a beautiful green. The color saturation is fantastic. As we are in the middle of spring, this one reminds me of all the bright green leaves. Formula was thin. 3 coats. 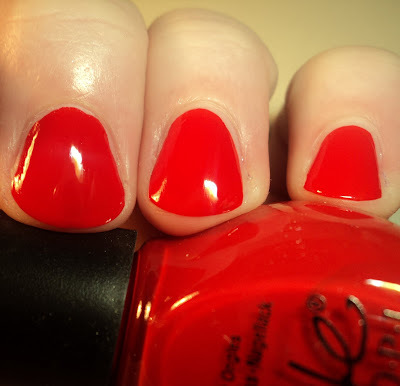 Redy To Runaway Love - bright red creme. Okay, so this one isn't at all unique, but it is a fantastic red creme. Perfect formula. 2 coats. 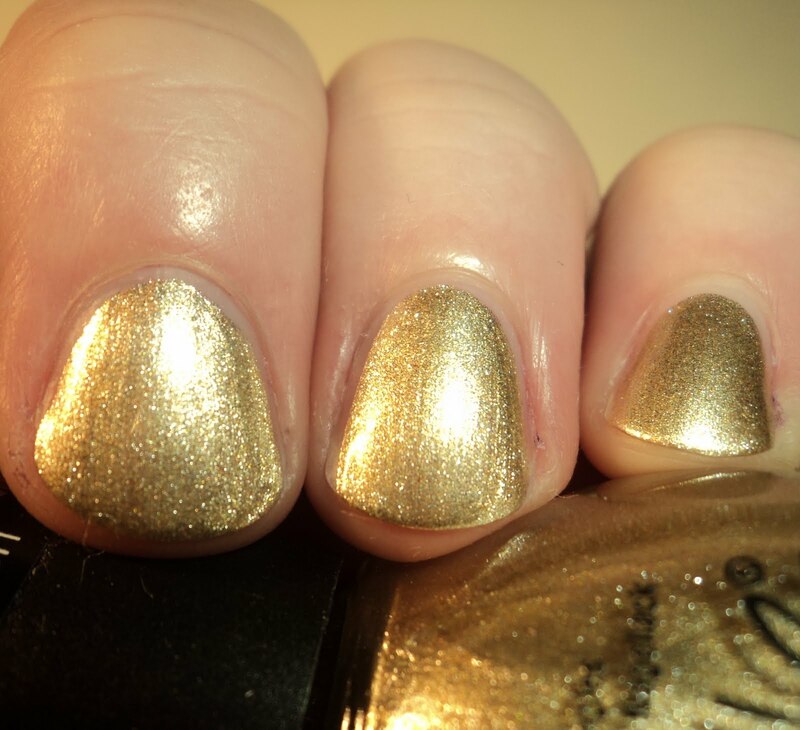 All in all, I think this one was another winner for Nicole by OPI. The colors are very nice, and there isn't one of them that I don't like. One thing I don't like? Nicole by OPI's new brush. They still haven't worked out the kinks and it's moppy and hard to handle and not consistent from bottle to bottle. Hopefully that will improve. These are still available at drugstores and big boxes. Nicoles are usually in the $7-8 range. Wow, great post. I actually love all these colors and would wear them all but my favorite right now has to be the minty green. Oooo, I'm really digging that red! Wow lovely colors. I love the silver shimmer and gold polish. have been looking for a gold polish and think you just found it for me! Need to start looking for it now!! !